Municipality of city near Valencia declares itself “Israeli apartheid-free space”, defying court rulings. Defying multiple rulings in Spain that declared boycotting Israel illegal, the municipality of a city near Valencia has declared itself an “Israeli apartheid-free space”, JTA reported Friday. The City Council of Sagunto, a city of 64,000 inhabitants, passed a motion Tuesday declaring itself part of the Boycott, Divestment and Sanctions (BDS) campaign against Israel, the ACOM pro-Israel group in Madrid said in a statement. ACOM said it was preparing legal action. Separately, the High Court of Justice in Asturias, in Spain’s north, ruled last week that another city council’s policy of boycotting Israel was unconstitutional. The City Council of Castrillon passed a motion in August effectively boycotting Israel, Israeli businesses and companies doing business with Israel. A regional court suspended the motion and the High Court scrapped it, declaring it discriminatory, the Lawfare Project organization said. 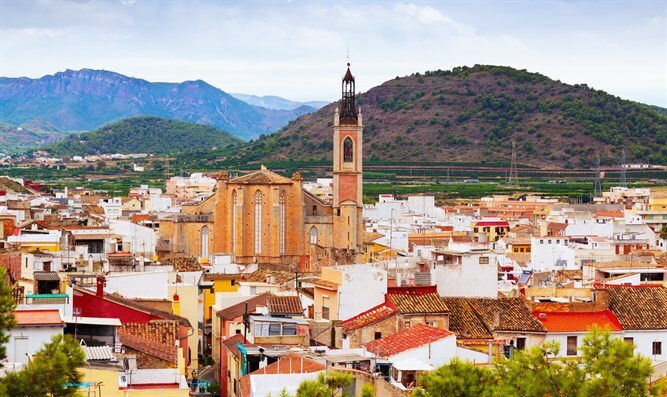 The motion in Sagunto is the latest among several recent anti-Israel initiatives in Spain. Last week, councilors in the city of Pamplona, the capital of the Navarre province, called on the Spanish government to stop its arms trade with Israel and on their municipality to declare Israeli officials as "persona non grata" until Israel stops its "oppressive policy against the Palestinian people". A week earlier, the city of Oviedo, the capital of Spain's Asturias region, cancelled a concert of Israel's NK Orchestra, citing political reasons. Oviedo also cancelled an Israeli ballet performance. Tribunals in Spain, including the nation’s Supreme Court in three of its rulings, have voided a total of 17 boycott motions passed by municipalities, noted JTA. Nearly two dozen Spanish municipalities recently rescinded or suspended pro-BDS measures against the State of Israel.